On Saturday morning, in the very early hours, we found out some incredibly exciting news here at Project Arts Centre. We’ve kept it a secret. It hasn’t been easy. But now (drum roll) we are delighted to announce that artist and Project Member Jesse Jones – commissioned by our curator of visual arts Tessa Giblin and supported by the entire team at Project – will represent Ireland at the 57th Venice Biennale in 2017! The Venice Biennale is like the Art Olympics: a large-scale biannual international art exhibition, a glittering week-long event followed by a 7-month long exhibition (that attracts over half a million visitors from all across the world). To represent your country in Venice is a huge honour, and one of the most important moments in an artist’s career. 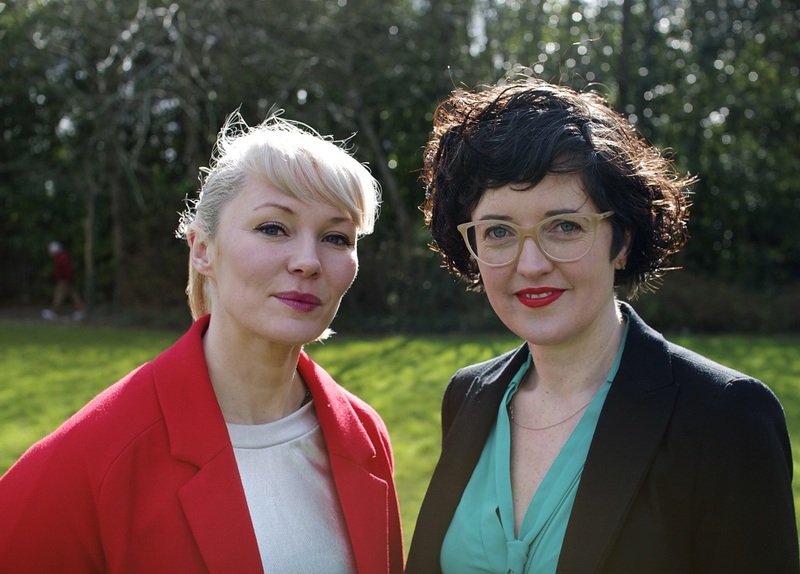 Jesse’s work for the Irish Pavilion, which she has described as a ‘witching’ of the judicial system, will also include performance work by renowned theatre artist Olwen Fouéré. Close collaborators, Jesse and Tessa are overwhelmed by the news. Their relationship was forged almost a decade ago when solo show The Spectre and The Sphere was commissioned by Project, and it really feels like their journey together has led to this moment. After Jesse and Tessa’s new work premieres at Venice, it will then tour the country, coming back here to the gallery and Project audiences in 2018. It’s been an exciting day at Project. We are all a little overwhelmed and more than a little excited. For 50 years, visual arts have been at the heart of Project Arts Centre, and this next step is an enormous honour and a mammoth undertaking. Whispers in corridors have already changed to full-throttle conversations about logistics, production plans, schedules, installation, fundraising, promotion. Only just announced, our Venice journey is already underway! Ireland at Venice is a partnership initiative of Culture Ireland, the Department of Arts, Heritage and the Gaeltacht and the Arts Council. Click here to read the full announcement on Culture Ireland’s website.